It must be the stuff of dreams to join Barcelona. 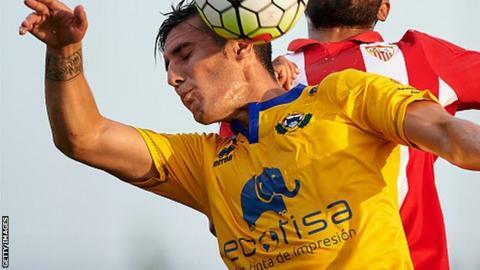 Yet within hours of signing for the club's reserve team, forward Sergi Guardiola was sacked after officials were alerted to "offensive tweets" he had posted two years ago about Barca and Catalonia. Guardiola, 24, joined Barcelona B on Monday but according to Marca, the Spanish national daily sport newspaper, his contract was terminated "some hours later" when they became aware of pro-Real Madrid tweets, including offensive language about Catalans. Guardiola started this season at Madrid-based club Alcorcon in Spain's second tier.